Coppei Creek CREP after four years growth. Same Coppei site, four years later. 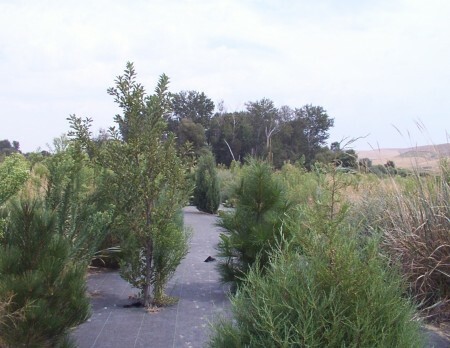 Use of mulch promotes spectacular growth, even in relatively arid areas. The CREP program in Walla Walla County is one of the largest in the state. 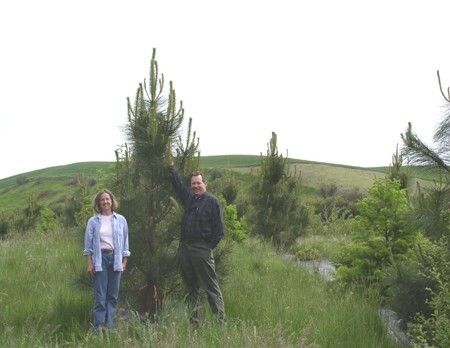 As of spring 2014, over 175 stream miles of riparian forest buffers have been planted, thanks to the voluntary efforts of landowners using 145 contracts. 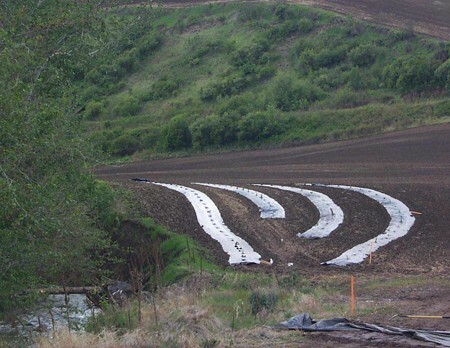 These landowners set aside a buffer of land between their working farm ground and streams and creeks to improve salmon and steelhead habitat. 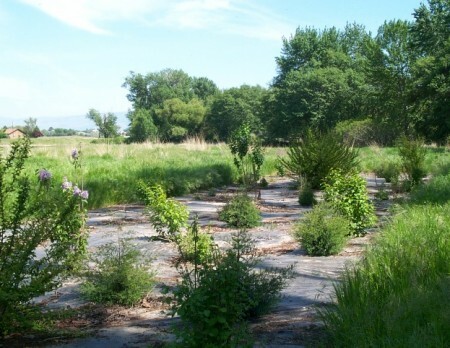 The land is planted with a diverse mixture of native trees, shrubs, and grasses. 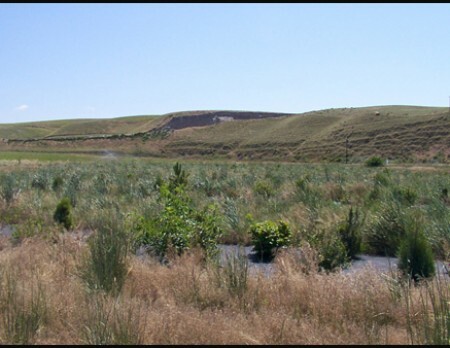 The buffer protects water quality by slowing overland flow, trapping sediment, and when mature, providing shade to the river. The cool, clean water directly benefits endangered fish species. Upland birds and animals also benefit from the cover and food sources afforded by the native shrubs and trees. 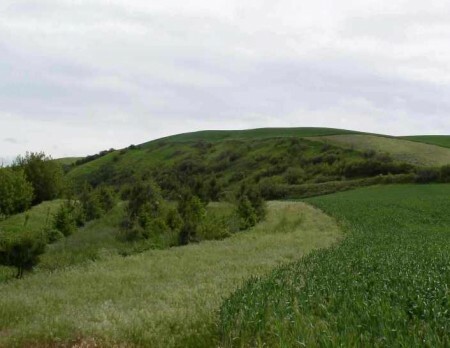 CREP is a joint program administered by the Farm Service Agency, with technical assistance from the Natural Resource Conservation Service and additional funding though the Washington State Conservation Commission.